A great windshield washer tablet that is super-concentrated. Non-toxic, biodegradable and engineered safe for rubber and paint. Each tablet makes up to one gallon of sparkling blue cleaner. Super concentrated. Non-poisonous. Saves on freight costs and valuable space. Can work as a glass cleaner too! NOTE: Not to be used in temperatures below 32°F without adding proper additives to keep from freezing. 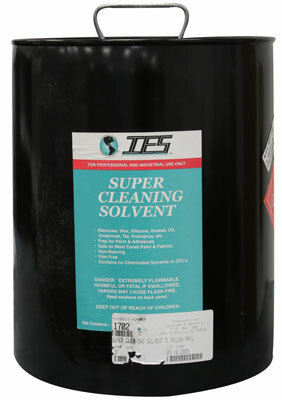 A quick, safe, multi-purpose solvent. Excellent for removing silicone wax, adhesives, tar, undercoating, sealers, paint overspray and bugs. Safe on most fully cured paints, fabric, vinyl, glass and most plastics. Non-staining. Film free. Contains no Chlorinated Solvents or CFC'S. An extra strength, fast acting solvent for removing dried rubber cement, sealers, overspray, undercoating, tar, silicone and wax. Fast drying. Non-staining. Film free. Contains no Chlorinated Solvents or CFC'S. 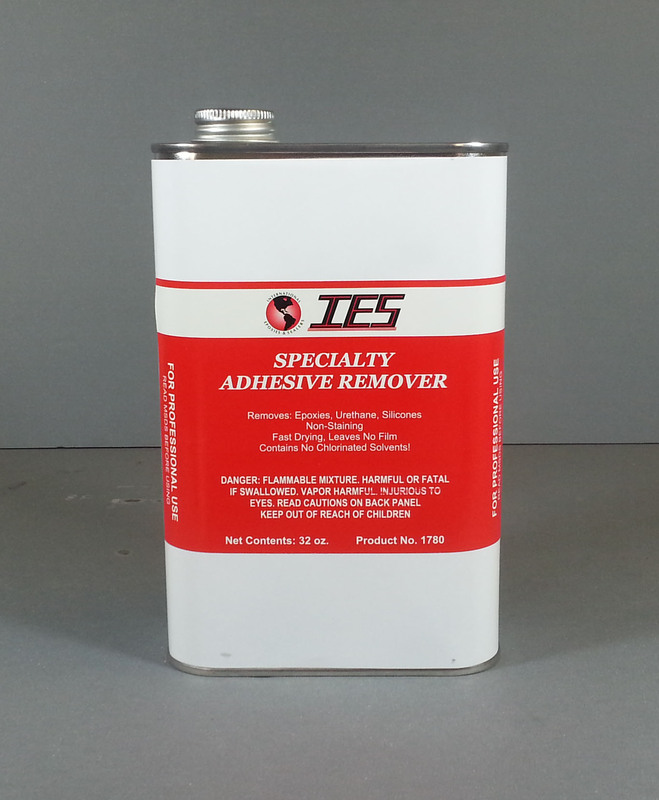 An extra strength, fast acting remover used for removing epoxies, urethanes and silicones. Will not leave an oily residue. Non-staining. Fast drying. Contains no Chlorinated Solvents or CFC'S! Meets California & OTC regulations! 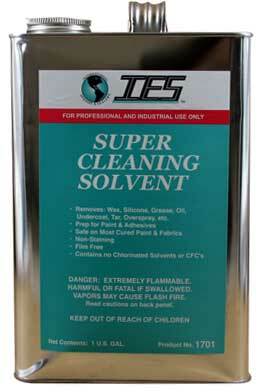 IES Super Clean 2 is a water based cleaner and paint prep all in one! Suitable for cleaning metal (including aluminum and galvanized), old paint finishes, transport coatings, primers, glass, fiberglass and plastics. Removes dirt, bugs, sanding dust, grease, finger prints, salt, soap rests, silicone, etc.. Improves adhesion before applying primers, paints, coatings, and adhesives. NOTE: Not recommended to remove tar or glue. A unique cleaner and protector that has been formulated to remove compound and white haze from textured plastic, door handles and fender flares. RESTORE-IT also leaves a long lasting dressing without silicone. Restores old faded mouldings and cladding. Cleans and frees automatic chokes, air intake manifolds, throttle bodies, carburetor valves, PVC valves and transmission valve body assemblies from varnish, gum, etc. High pressure spray. Leaves no residue. This concentrated butyl cleaner was formulated to clean hard to remove grease and soil which are normally unaffected by other cleaners. 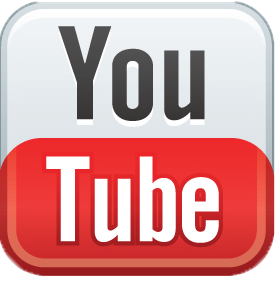 Its clinging foam permits long lasting contact with surfaces to be cleaned. Dissolves: wax, ink, oils, dyes, dirt, grease, road grime, and carbon. A convenient ready-to-use aerosol dressing that creates a high-gloss finish on rubber, plastic, vinyl and most other surfaces. 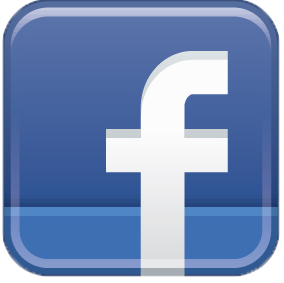 It shines and protects against weathering, aging and ultra-violet rays without the use of silicone. Keeps rubber resilient in the harsh summer conditions. Restores rubber that is drying out, fading or cracking. Brightens exterior trim and remove wax deposits without harming painted surfaces. This unique cleaner has been formulated to create a residue-free product that eliminates spots, film and streaks. May be used on any surface not harmed by water. Dissolves grease, oil, finger marks, smudges and soils on contact. Overspray dries crystal clear. Use on windows, mirrors, showcases, window film, fine lens, plexiglass, chrome, enamel, tile, porcelain, plastic, stainless steel, etc. 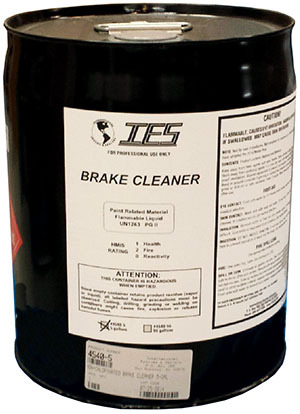 A premium quality cleaner for removing oil, grease and brake fluid from conventional and disc brake components. Will not harm rubber parts. Leaves no residue. Safe and easy to use cleaner that dissolves smudges, film, scum, smears, bugs and other soil. 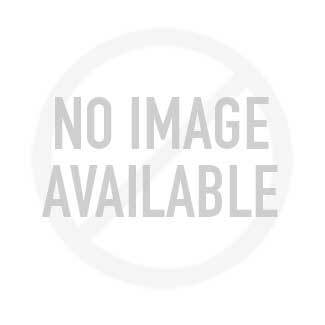 Non Ammoniated. Leaves no film. Leaves fresh, clean scent. 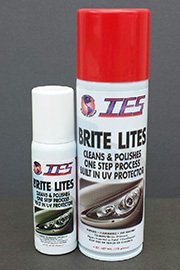 IES Brite Lites is a one of a kind product that restores and clears plastic and glass that have been damaged by UV age discoloration. Frequent use of Brite Lites helps fill tiny scratches and microscopic flaws on the surface of these materials. Use Brite Lites on headlights, windows, fairings, tail lights and side markers on automobiles, trucks, motorcycles, buses and marine craft. It will also remove calcium carbonate build-up on headlights thus restoring brightness which saves on replacement costs. A heavy-duty cleaning solvent that is great as a paint gun cleaner. Quickly removes paint overspray from metal surfaces and spray equipment. Also works great for removing grease, adhesives, dirt, and grime. Quick Action Formula. Heavy Duty. Leaves No Residue.